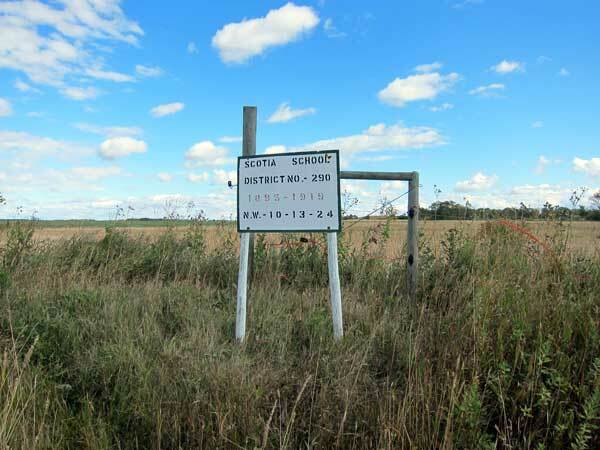 Established formally in 1884, the Scotia School District operated a school at this site in what is now the Municipality of Hamiota from 1895 to August 1918. At that time, it closed as part of school consolidation in the early 20th century, joining Eden School No. 510 to form Oakner Consolidated School No. 290 in the nearby village of Oakner. Among the teachers who worked at Scotia School was A. J. Bell.